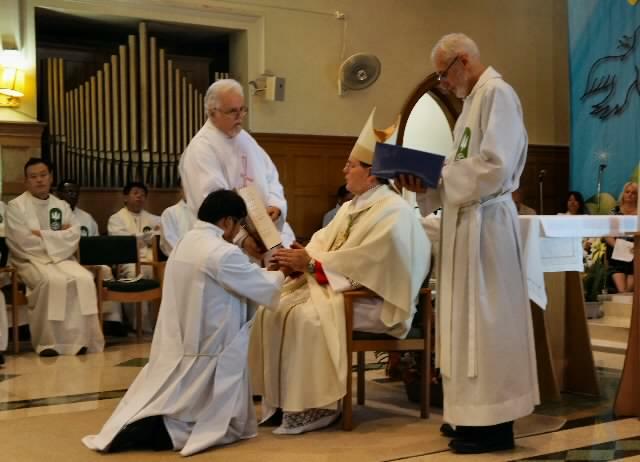 Deacon Luis Ramon Lopez was ordained a Scarboro Missions priest on July 11th. The ordaining Prelate was Bishop Wayne Kirkpatrick, Auxiliary Bishop of Toronto of the Archdiocese of Toronto and held in the SFM Chapel. His mother, Maria Lopez, led a large family delegation (mainly from the Ottawa area) to attend this happy occasion. The chapel and reception were overflowing. Fr. Luis’ First Mass was celebrated the next morning, July 12th in the SFM Chapel. Some 60 pictures (reduced from over 600) are shown in the Photo Gallery.